Don’t look to place the blame at Phil’s doorstep, though. More than 30 years after the much maligned performance, Collins knows exactly why the show was a flop – and he’s not shy about telling you. Phil’s 2016 autobiography Not Dead Yet: The Memoir reveals that he couldn’t hear Page or Plant from his spot on the stage, making it difficult to follow cues and fellow drummer Thompson didn’t make it any easier, taking the heavy handed lead and “ignoring all of my advice,” prompting Collins to extrapolate that his motive was to position himself for possible recruitment as the new drummer for Led Zeppelin should the band decide on a permanent reunion. Ouch. 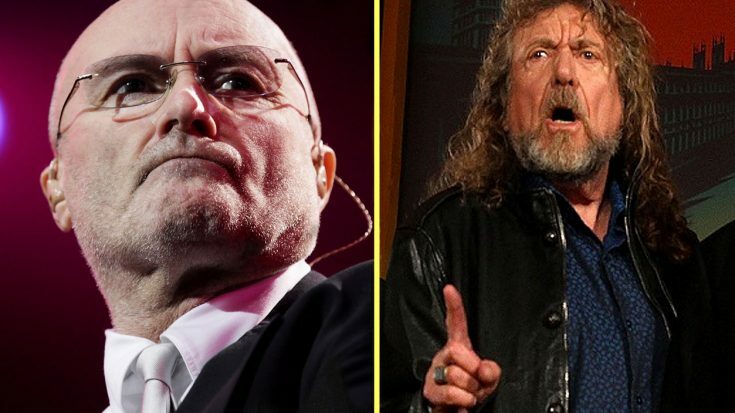 Something tells us Led Zeppelin won’t be calling Phil any time soon.